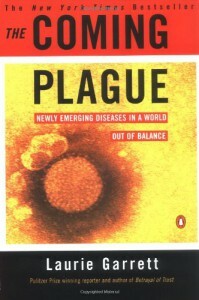 The Coming Plague: Newly Emerging Diseases in a World Out of Balance - Fangirls Ahead! I liked it well enough. not very technical at all, but I suppose she wanted it to be accessible. but honestly, it got very easy to confuse all the scientists and politicians as more and more people were added. they all felt rather 2-dimensional. but I didn't read this for character development, so I still liked it well enough.